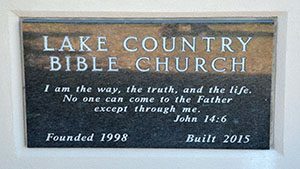 This brief history has been recorded to document the beginning of Lake Country Bible Church, but more importantly to share how the Lord through His patience, faithfulness and provision brought this church into existence. 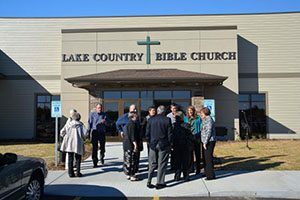 The Lord used many steps to bring Lake Country Bible Church to the starting line. As we look back, it is clearly evident that God was at work and His timing is perfect. The idea to plant a church in the Nashotah area actually began in 1990, while Country Christian School was in the process of finding a new facility. It was the strong belief of several individuals on the CCS building committee that good stewardship meant sharing a building with an evangelical church. The thought was that a school would sit empty on the weekends and evenings, while a church could utilize the facility at those times. Both ministries would share in the cost of operating the facility. Several churches in the process of looking for new facilities were contacted. After many in-depth discussions of a joint venture, the Lord seemed to close the door. In 1994, a group of six men came together with the conviction to plant an evangelical church in the Nashotah area. These men met weekly for almost a year to pray, study and fellowship together. There was no consensus and no confirmation of God’s direction at that time, but the Lord was establishing a foundation. The Lord brought this group together on June 21, 1998 at the home of one of our founders. Another of our founding families felt the confirmation of God to begin this new work in Isaiah 43:19. It says, “See, I am doing a new thing! Now it springs up; do you not perceive it? I am making a way in the desert and streams in the wasteland.” The Lord brought renewed joy and a sense of purpose to this new body. The church enjoyed fellowship and worship together in homes for several weeks, and then moved to the larger accommodations at Country Christian School in Nashotah in late August of 1998. The Lord continued to care for this infant church. The constitution and bylaws were drawn up by a temporary steering committee, building on the foundation laid back in 1994. Sal Massa -A Moody Seminary graduate – was called to serve as the pastor in December of 1998. He clearly experienced an anointing from God for ministry, and left a secular job to shepherd the flock at LCBC. God has indeed used many steps to get us to the starting line, and we know He is faithful to finish what He has begun. In 2016 Pastor Sal announced that he would be retiring from LCBC and devoting his attention to teaching and ministering with our partners in India. The Elders immediately formed a search committee to secure a new Senior Pastor. In March of 2017 Pastor Caleb Kolstad was called to be the next Senior Pastor. Pastor Caleb joined the staff in June of that year. 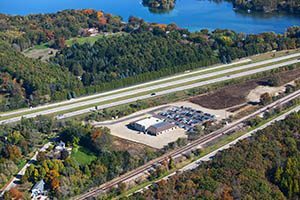 We continue to be in awe of the way God is working in and through Lake Country Bible Church. To God be the glory, great things He has done!